Lake Travis 362’ Waterfront Property with 5 Acres On The Pedernales River, Unique Rock Formations, Explore the Cave, Nature Trail Walk Ways, Enjoy Central Texas Contemporary Style Home, ALL Custom Built, Home on the Bluff has Great Views, Custom Home Concrete Steel Constructed, Awesome Enclosed Porch, Large Balconies, Geothermal Heating/Cooling Systems, Main Home 3880 SF, Elevator, Guest House Above Detached Garage 1026 SF Kitchen and Game Room, 5 Bedrooms, 7 Baths, 3 Living Areas, 4 Car Garage	Contact your REALTOR® today for more information on 24300 Spur Trl! Description: Approximate Foreclosure: No Area-Region: LS-Northwest Travis Co. I was searching for a Property and found this listing (MLS® #3672786). Please send me more information regarding 24300 Spur Trl, Spicewood, TX, 78669. Thank you! 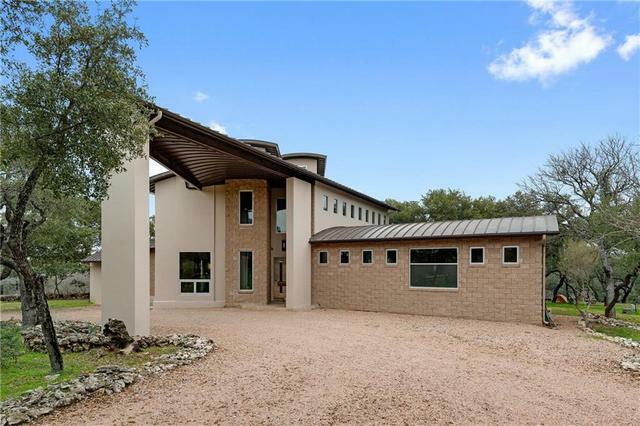 I'd like to request a showing of 24300 Spur Trl, Spicewood, TX, 78669 (MLS® #3672786). Thank you! Property Listed By: Lake Homes Realty, LLC.